I wrote a summary of my 2012 cloud integration predictions on the Informatica Perspectives blog, but haven’t yet posted 2013 predictions. Today Mary Meeker’s slides are making their way through corporate boardrooms at most, if not all, technology companies, not to mention getting some great coverage across the web. Here’s the presentation. I really like the “re-imagine” section. 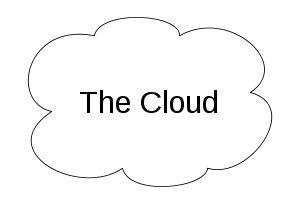 There’s no doubt that cloud computing and software as a service (Saas) have forced a great deal of re-imagination in the traditional application, platform, middleware and infrastructure markets. Marc Andreessen believes that 2012 Will Be Remembered As The Year Of SaaS. Some have said that “Cloud and Data are the New Black” (although black clouds are generally not a good thing, right?). Cloud Integration Evolution: From Outside in to Inside Out? I was recently interviewed by Ron Powell of the ByeNetwork about the evolution of cloud-based data integration and noted that increasingly enterprise IT organizations are seeking to take advantage of this model to complement and extend their on-premise deployments in order to delver well-governed self-service to the business. 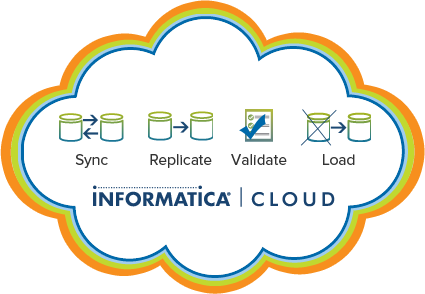 So how much has really changed when it comes to cloud data integration in the enterprise? “If you’re Salesforce.com, you say that private cloud is like a unicorn, it doesn’t really exist and it’s everyone liking the benefits of cloud computing but feeling like there’s too much risk in terms of security and data privacy and those sorts of things. At Oracle Open World, I had several enterprise architects come up to me and say there’s two things I want to talk about: cloud computing and Big Data. And I said, so you’re an enterprise architect and you’re trying to figure out a blueprint for your company? Absolutely. Accurate? Way off? I’m interested in the discussion. Clearly the cloud is not just “water vapor,” as he once so famously claimed. Check out the reputation of the service provider. Investigate how the cloud provider makes back-up copies of your data, how you can move the data to another provider, and what happens if the provider goes out of business. Work hard to get a good service level agreement with clear financial penalties to ensure a good service. Be wary of industry certifications, because they capture just a moment in time. Be sure to read the entire BBC Business News article on Cloud Computing here.